So, it's just over a week until Christmas... yes a week. How terrifying, but equally exciting! To add to my festive excitement, I received this amazing little gift from Radley the other week - the Kennington Mini Domed Grab Bag. And the verdict: I'm seriously besotted! They weren't wrong when they said good things come in small packages. It is absolutely the perfect size. 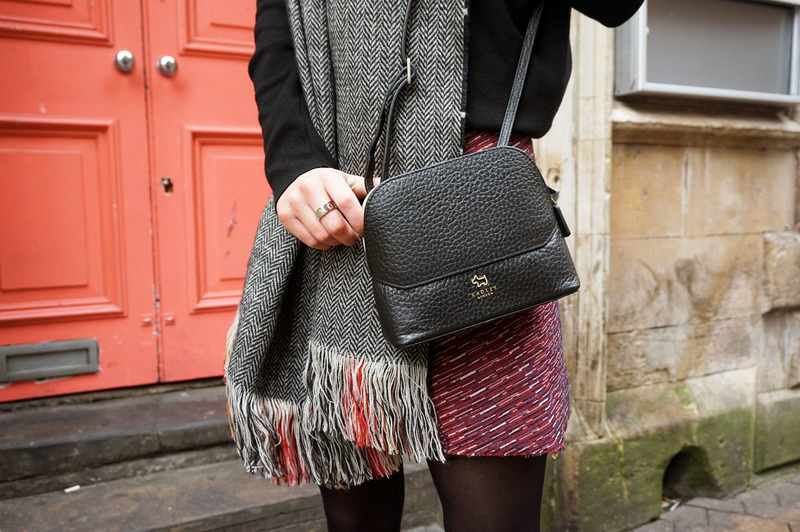 Not only is it the ideal proportions, but there's a zip pocket inside and a pouch on the back, making it a go-to bag for getting out and about. Although my massive (and I mean MASSIVE) purse won't fit in here, I've been popping my card and pennies in with no worries as it's got a sturdy zip. As it's sweet and simple, it matches literally any outfit too, which is amazing! There's a hint of cream leather along the zip - a really cute detail, along with the classic Radley dog detailing. Needless to say the quality is fab. If you haven't sussed all your Christmas list quite yet, seriously consider popping a request in for this little beauty. There's loads more to choose from over at Radley too. I'm loving frills still (obvs!) and wearing this New Look jumper again. I'm yet to invest in any other frilled tops as I thought this could be a one hit wonder, but has grown on me a lot - I've been wearing it every week since I bought it! Maybe in the Jan sales... let's face it, they'll start next week anyway! Also came across these silver hooped chain earrings a few days ago, they're by a brand called DesignB via ASOS. They're a bargain in the sale at £5 - but they're my new faves! I love simple, slightly alternative jewellery, so these hit the mark with me. 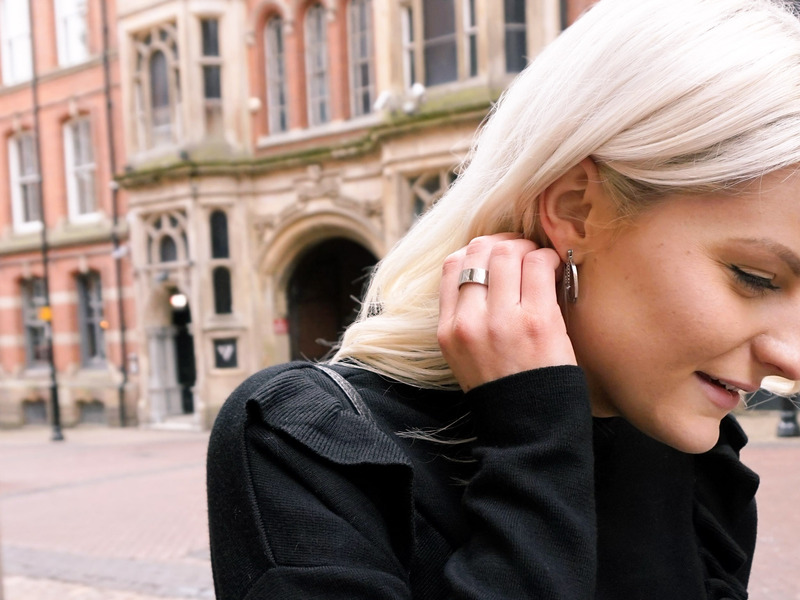 Paired with my (oldie but favie) bold silver ring, they make a cracking pair. Photos c/o Allie Redmond, The Friday Girl.